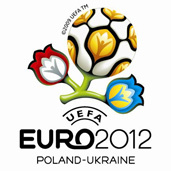 Leo Beenhakker searches for new players not only due to the next World Championships in 2010 but also for Euro 2012. There are both former national team players and completely new ones on the list of 20 names, who will be observed by the Dutch manager in the league first round. – How will the proportions between ‘newbies’ and experienced players be set? Well, I can say anything at the moment. We have already chosen some players, but very much depends on how they will play in the first round of the league – said Rafał Ulatowski, the assistant of Beenhakker. Ulatowski announced, that the stuff will observe all matches and players who are not on the list have still chances to play in the national team. – If someone will show us really good skills in the first match of the season, and he hasn’t been taken into consideration, he might get a call-up – he said. The assistant of Beenhakker also said, that the stuff will observe not only the players in Polish Ekstraklasa. – It is possible, that we will invite on the consultations players who are playing not in Ekstraklasa, but in First League. Perhaps, in this group someone who hasn’t been playing in the Ekstraklasa yet will be found – he said. Forwards: Paweł Brożek (Wisła), Robert Lewandowski (Lech), Kamil Witkowski (Cracovia), Przemysław Pitry (Górnik).